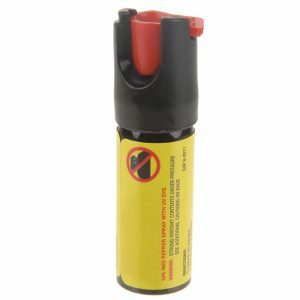 Pepper spray is a non-lethal irritant that is scientifically referred to as Oleoresin Capsicum. Caspian is the primary irritant in pepper spray and, is extracted from – you guessed it – red hot chilli peppers! It’s also used in creams and gels to relieve joint and muscle pain although, our very famous Deep Heat and Arnica Gel brands, don’t contain it. Yes – there have been multiple reports of death, most notably, death in children as a result of respiratory arrest following accidental exposure to pepper spray. I’m not going to lecture anyone about this and, it’s not the subject of this article but, if you have children and, you can’t store the peppery spray away with 100% certainty that your children will not be able to reach it, don’t buy it or keep it. Is Using Pepper Spray Legal in South Africa? Yes it’s legal – selling, buying and carrying pepper spray is not illegal but, if you use it to cause intentional harm to someone who does not pose an immediate danger or threat to you or to someone around you – you can and, probably will be, prosecuted for assault. 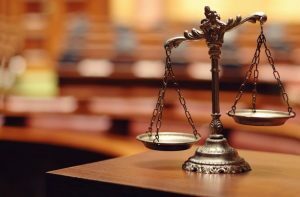 The victim may also institute a civil claim against you to claim damages in the form of medical bills. As long as you are acting in the protection of your own or somebody else’s life, physical integrity, property or other legally recognised interest – the perpetrator will have no grounds on which to take any form of legal action against you. Also, according to the law the threat of harm must already have begun or be immediately threatening and must also not be averted in any other way. Another requirement is that the act of defence may not be out of proportion to the interest threatened by the act. These legal requirements can get complicated but there is no situation which I can think of where using pepper to protect yourself or your property would lead to any legal issues. Shooting someone who is trying to steal your phone may be seen as “out of proportion” but, using pepper spray would be completely justified. How long would it take for the effects of pepper spray to wear off? If sprayed correctly and, directly into an attackers eyes, the most sever effects of blindness, excruciating pain, swelling, nausea and disorientation will last for at least 45 minutes. By this time I’d expect that you’d be long gone or, have the attacker subdued and the police in route. That being said the after effects can last up to a week – particularly if it has been sprayed directly into someone’s eyes from a very close distances (1m). While pepper spray may be seen as an enemy by protesters around the world – in South Africa it’s just another one of the many self-defence tools we have at our disposal to fight back against sexual assault, robbery and even a smash and grab incident. Pepper spray is a fantastic self-defence weapon that will disable and disorientate a would-be attacker or intruder. When sprayed in the eyes and face it will cause temporary blindness, sever pain, burning, nausea, coughing and will make it difficult to breath. It’s relatively inexpensive and can be purchased from almost any security shop. You should consider if you are properly prepared psychologically to use pepper spray – in high stress situations many people freeze up and are unable to act – by preparing yourself by visualising a variety of situations you could break that barrier and become prepared. The problem is that in most cases people forget and even misplace the pepper spray since they very likely don’t encounter many occasions that warrant it’s use and then when a serious situation develops they either don’t know where they’ve put it or can’t get to it fast enough. Don’t be another one of those people – if you buy it keep it on you and make sure you know how to use it. Who Should Buy and Keep Pepper Spray? If you’re single and live alone, having a canister of pepper spray in your nightstand drawer may save your life. Teenage girls and women can keep a canister in their handbags or on a set of keys to use as self-defence in a wide range of situations. To keep a canister in your vehicle to use for self-defence when driving alone or with the family. You can keep one with you when travelling and staying in a hotel. Joggers, hikers and cyclists can keep a canister on their person. Campers and people walking in wooded and/or secluded areas such as fields and beaches. People who work in high-risk areas can keep one on their person for self-defence. Families can have a canister strategically placed in the home – if someone attempts to break in you may just be able to pepper spray them through a window. Security personnel who are not licensed to carry a weapon may carry pepper spray. Most people buy pepper spray with good intentions but, unfortunately, don’t properly prepare themselves to be able to access and, USE IT, in a critical life or death situation. This video illustrate the proper use of pepper spray and will tell you how to mentally prepare yourself for using it. Fill up your sink or a bucket with cool water, add a generous amount of baby shampoo or any mild soap – dunk your face in the soapy water and then rinse it off under a tap or shower head – repeat this MULTIPLE times – DO NOT rub, scrub or touch the area – dunk and rinse! If you’ve been exposed to pepper spray your first instinct might be to rub your face or rinse the pepper spray with water – both of these will make your situation worse. Pepper spray is an oil based solution and water will no help you in washing it away. Rubbing the area will simply rub the solution into your skin and eyes and increase the pain. 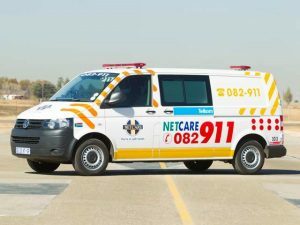 If a child has been exposed call an ambulance or take them to a hospital so that they can wash the child’s eyes out and provide them with oxygen and other medical treatment if necessary. Saline solutions can be bought from a pharmacy but you can also make it at home but you must boil the water first, then add the salt and let it cool to room temperature before use. I’ve discovered a lot of useful info on your website particularly this page. Thank you for posting. Good post, I enjoyed it very much.I was really lucky to discover your website. There’s a lot of helpful info! My concern was is it legal in South Africa. Can the perpetrator use it against me in a Court of law. The tips were of great help. Hope I never have to use it. As long as you are acting in the protection of your own or somebody else’s life, physical integrity, property or other legally recognised interest – the perpetrator will have no grounds on which to take any form of legal action against you. Also, according to the law the threat of harm must already have begun or be immediately threatening and must also not be averted in any other way. Another requirement is that the act of defence may not be out of proportion to the interest threatened by the act. 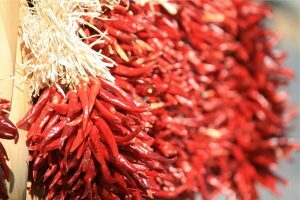 These legal requirements can get complicated but there is no situation which I can think of where using pepper to protect yourself or your property would lead to any legal issues. Shooting someone who is trying to steal your phone may be seen as “out of proportion” but, using pepper spray would be completely justified. Meeste van die tyd het reageer ‘n mens nie altyd in tyd nie, maar ek hou my pepper spray in my kar. Ek Sal definitief dit gebruik vir as iets gebeur soos ‘n ‘smash en grab’ of wat my veiligheid bedreig. I really need to buy 1 for myself,where can i buy it in Gauteng?